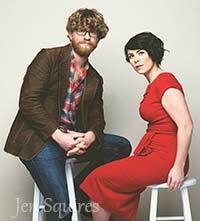 Canadian duo DALA returns to the Circle of Friends Coffeehouse on Saturday, May 7th at 8PM. Amanda Walther and Sheila Carabine of DALA have come a long way in a short time. The two best friends, who met in their high school music class and wrote their first song together in 2002, have since become darlings of the Canadian music scene and are now poised to bring their fresh brand of acoustic pop music to the world. DALA has become one of the hottest selling acts in the folk-pop world, selling out concerts wherever they are booked. 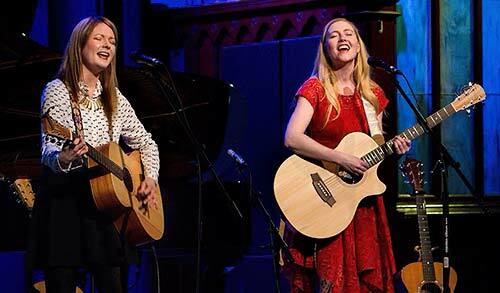 They won the coveted Canadian Folk Music Award for "Best Vocal Group", were nominated for a Juno, Canada's Grammy, and they were featured in a PBS special "Girls from the North Country".